Below is the same graph with the resource labels included. The red resource type on the bottom is renewables. 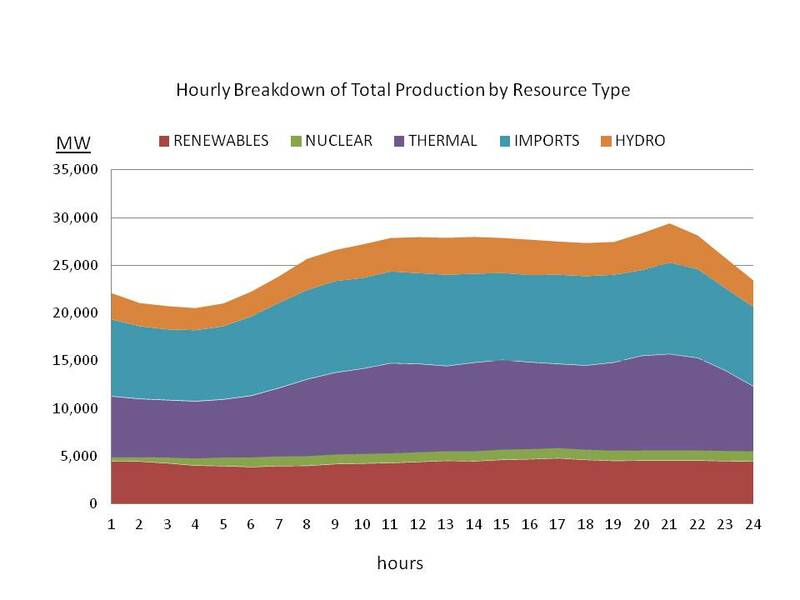 Then, moving from bottom to top is nuclear; thermal sources, which are mostly natural gas combined-cycle turbines; imports that come from other states outside California; and hydro power. We often hear that renewables can’t handle baseload needs because they are too variable. But by combining different renewable generation technologies across broad geographic areas variability can be reduced. 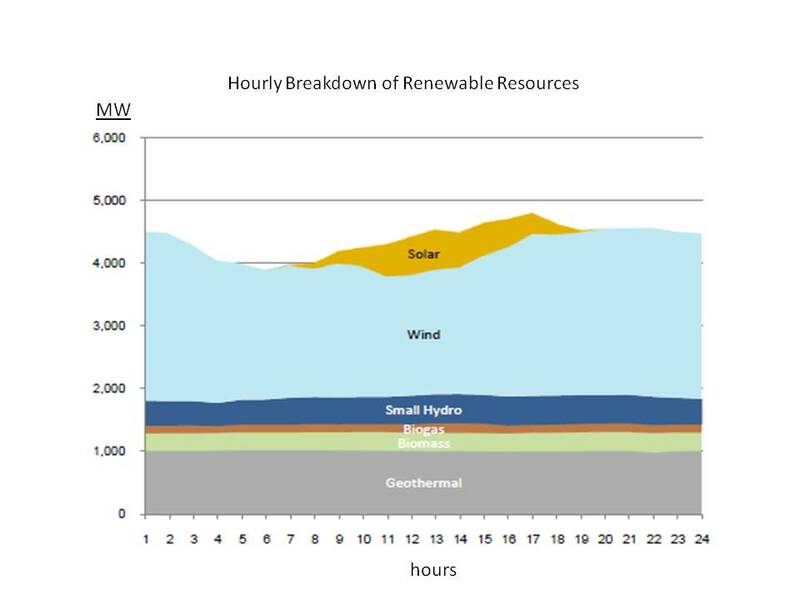 For instance, the Western Wind and Solar Integration Study performed by the National Renewable Energy Lab (NREL) concluded that if renewables were integrated across the western grid that variability due to 30% wind and 5% solar penetration would result in no increase in variability over load-only variability (see: Figure 7, page 18 of the Executive Summary at http://www.nrel.gov/docs/fy10osti/47781.pdf ). We see that when wind dipped during the middle of the day, solar nicely filled much of the gap. And the rest of the dip in wind occurred early in the morning when loads are lower. So will this work out so nicely every day? Probably not, but it does show that integrating renewables isn’t as daunting as it may seem without understanding the details. This entry was posted in Electricity, Renewables and tagged Combined cycle, electric generation, electric generation technology, Electricity, Energy, Energy Education, Energy Training, Nuclear power, Renewable Energy, Renewable resource, Solar Power. Bookmark the permalink.